Disruptive innovation to diversify economic growth. 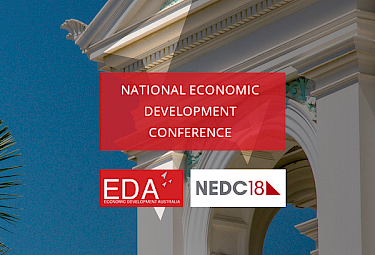 NEDC will include keynote speakers who are experts in their fields relating to the conference themes and will attract economic development practitioners from Australia and around the world, including representatives from all levels of government. 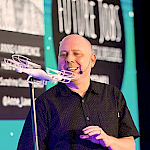 The following guest speakers include: Dr. John Flackett (AiLab), Dr. Catherine Ball (World of Drones), Mark Bouris (Yellow Brick Road and TZ Limited), Anne Lawrence (Sunshine Coast Council), Chris Helder (Author) and many more! John presented his guest talk on the topic of the 'How Artificial Intelligence is Transforming the Economy'. This event was held from Tuesday 16th until Friday 19th October 2018 and was held The Pilbeam Theatre, Rockhampton, Queensland. John's presentation took place on Thursday 18th October 2018 at 11.50am. View John’s full profile on AiLab. NEDC is a conference organised by EDA, who are the peak national body for economic development practitioners. All the team at EDA and NEDC for the invitation and for organising such a brilliant conference. John presents at events and facilitates workshops across the world. If you would like him to speak at your next workshop, event, convention or conference, please drop us a line. Organised by the Economic Development Australia, Dr. John Flackett gave a guest talk at the National Economic Development Conference (NEDC) that explored how AI is transforming the economy.